Abstract. 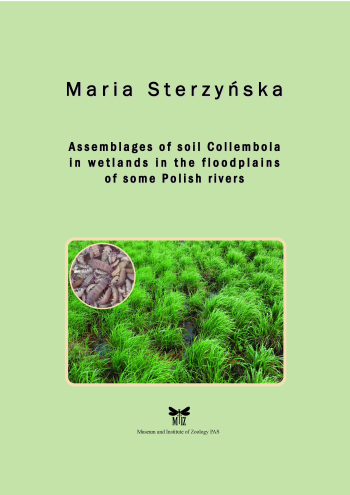 Study sites were set up in the valleys of the Biebrza, Narew, Warta and Wisła rivers, whose floodplains differ in morphology, intensity of fluvial and biogenic processes, and degree of natural and human disturbances. The present studied showed that: (1) diversity of Collembola assemblages of river floodplains is maintained by both local and regional processes, (2) low mean population density at the local scale and high global species richness on the regional scale are the main adaptations of Collembola assemblages in river floodplain habitats with natural pulse disturbances, (3) low-dynamic, with natural water regime, marshy floodplains with well developed palustrine zone, shaped by a natural pulse disturbance, maintain a higher global species richness of Collembola and function as a refugee for rare springtail species, (4) the highest discrimination, reflected differences in structure of Collembola assemblages of riverine floodplains, were between type of soils and riverine wetland habitats, (5) Collembola assemblages of riverine floodplains, with accelerating terrestrialization process, can achieve short-duration equilibria and exhibit spatio-temporal seasonal differentiation. The effect of disturbance regime on Collembola assemblages in river floodplains is for the first time quantifed. The diversity pattern, resilience and predicted classification of Collembola assemblages in river floodplains are discussed.